Denver, Colorado. September. 22, 2014 – NASA’s Mars Atmosphere and Volatile Evolution (MAVEN) spacecraft, built by Lockheed Martin, successfully entered Mars’ orbit at 10:24 p.m. EDT Sunday, September 21. The spacecraft’s flight operations are controlled by a team at Lockheed Martin’s Mission Support Area near Denver, Colorado. 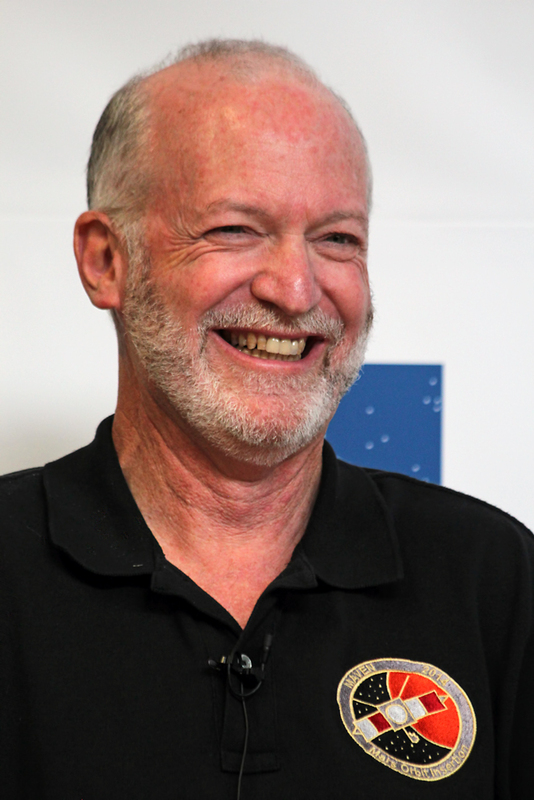 MAVEN’s principal investigator, Bruce Jakosky, is based at The University of Colorado’s Laboratory for Atmospheric and Space Physics (LASP). MAVEN’s goal is to explore Mars’ upper atmosphere, ionosphere, and interactions with the sun and solar wind. Scientists will use MAVEN data to determine how much gas from the atmosphere has been lost to space throughout the planet’s history. Understanding atmospheric loss will give scientists insight into the history of Mars’ atmosphere and climate and help determine how this once-habitable planet became so desolate over time. This week, MAVEN begins a six-week commissioning phase that includes maneuvering into its final science orbit and testing the instruments and science-mapping commands. MAVEN will then begin its one Earth-year primary mission, taking measurements of the composition, structure and escape of gases in Mars’ upper atmosphere and its interaction with the sun and solar wind. MAVEN will orbit the Red Planet in an elliptical orbit. At its closest point, MAVEN will be flying in the upper-atmosphere about 90 miles (150 km) above the surface. At its farthest point, the spacecraft will be about 3,900 miles (6,300 km) above the surface, which will allow it to observe the entire planet. MAVEN launched November 18, 2013 on a United Launch Alliance Atlas V rocket from Cape Canaveral Air Force Station in Florida, carrying three instrument packages. The Particles and Fields Package, built by the University of California at Berkeley with support from CU/LASP and Goddard contains six instruments that will characterize the solar wind and the ionosphere of the planet. The Remote Sensing Package, built by CU/LASP, will identify characteristics present throughout the upper atmosphere and ionosphere. The Neutral Gas and Ion Mass Spectrometer, provided by Goddard, will measure the composition and isotopes of atomic particles. CU/LASP provided two science instruments and leads science operations, as well as education and public outreach, for the mission. The University of California at Berkeley’s Space Sciences Laboratory also provided four science instruments for the mission. 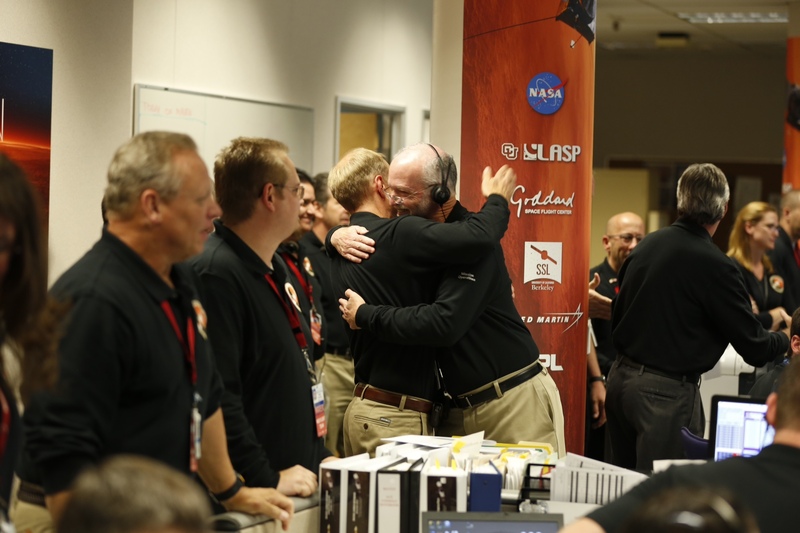 Goddard manages the MAVEN project. Lockheed Martin built the spacecraft and is responsible for mission operations. JPL provides navigation and Deep Space Network support, as well as Electra telecommunications relay hardware and operations.